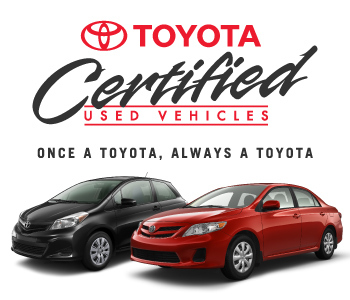 We offer two types of mechanical fitness assessments, the first being a Toyota Certified Used Vehicle inspection. This is a 127-point inspection (see below for more details) which is not only focused on the mechanical fitness of a vehicle, but also the cosmetic aspect and manufacturers schedules maintenance program. The benefits to you is that any wear and tear items such as tires and brakes must be over 50% or they will be automatically replaced by new, OEM (Original Equipment Manufacturer) parts. The second type of inspection we perform is an AMVIC Mechanical Fitness assessment for non-Toyota products. This consists of a 55-point inspection which checks all major components related to the safety of the vehicle The main focus of this inspection is the mechanical fitness of the vehicle, not the cosmetics like a TCUV. We protect you by ensuring all vehicles sold through Country Hills Toyota Used have one of two safeties performed. As our newest family member you are required to review and sign off on the mechanical inspections before taking delivery of your Pre-Owned vehicle.